Starting the day with big picture content is a great way to get the synapse firing in your brain. Well, that and a few cups of coffee from the Starbucks inside the Hilton. With David Meerman Scott – Author of the New Rules of Marketing & PR, Avinash Kaushik – Analytics Guru & Author from Google and Yusuf Mehdi SVP from Bing, you are sure to get riveting insight about the future of internet marketing and where companies should be focusing their efforts in the long term. David Meerman Scott is an excellent speaker and the release of the second edition of his groundbreaking book is very timely as the intersection of Search, Social Media and PR converge. The best internet marketing campaigns start and scale based on good insight from analytics and what better person to share the wisdom that Avinash Kaushik. Bing has experienced the best growth it’s ever had in the past few months and the search marketing industry is starting to take it more seriously. Yusuf Mehdi is the man to tell the story of how Microsoft plans to continue that growth. I’ve heard that over 5,000 online marketing professionals will be attending SES New York this year. That’s 5,000 people you have the potential to network with including industry peers, rock stars, potential candidates to hire, potential employers to be hired by, possible partners, investors, news media and of course, the coopetition. 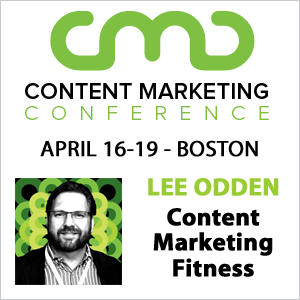 Take a look at the conference agenda and you’ll see an excellent mix of smart marketers from agencies and from major brands like New York Times, Autodesk, IBM and Facebook. 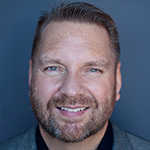 Plus you might get to meet people like Mike Grehan, VP and Global Content Director for for Search Engine Watch, ClickZ and Search Engine Strategies. There are over 70+ sessions over 3 days covering the gamut of internet marketing topics from the expected SEO and Social Media to Analytics, Conversion Optimization, Geeky technical sessions, Advertising, Real Time search and one of my favorites, the Business Track. The conference is also sandwiched with a day of hands on training before and after the conference for those that want more than just 12 minute snippets from each speaker. Whether you’re new to the field of internet marketing or whether you’re looking for more advanced tactics, there’s a session for just about everyone. And that’s not easy to do. Just ask Stewart Quealy, Marilyn Crafts or Jackie Ortez. As the CEO of an agency that pays for employees to attend conferences, you might think it a bit frivolous to suggest attending an event because it’s in New York, but the attraction of one of the world’s greatest cities brings a variety of people and a unique conference experience. Why not get smarter in a city that can offer you an experience unmatched anywhere? Whether you’re a fan of the Falafel stand outside the Hilton (be sure to go to the one with a long line) seeing shows on Broadway (Wicked was Excellent. Equus was ah, different) or the lights of Times Square, that’s a never ending supply of new things to see and do in the big apple. That attraction brings together a group of international conference attendees that is unlike events in other cities and well worth taking advantage of. Maybe not! Whether you decide to go with the lunch offered by the conference or you decide to arrange meetings during lunch at one of the many, many restaurants in the area around the Hilton New York, networking over food is something I’ve found to be incredibly productive. Find a table near full of people, sit down and introduce yourself. Ask lots of questions, be a great listener and people will remember you more than if you try and “sell” everyone you meet. Sure, you may network at bars and clubs during after-conference parties, but the music is often so loud you can’t hear what people are saying and let’s face it: When SEO’s get near a bar, distractions are plentiful. The focus isn’t going to be on business. Connect with people during the day and suggest coffee, lunch or dinner before going out. Then have fun (in moderation of course) with them in the evening. It will likely be the best networking decision you make during the conference. Attending conferences can be one of the most productive content opportunities because there are so many ways to do it. If a session is interesting, take notes – aka live blogging. If you meet someone smart and interesting, take notes. If you see something sensational at a networking party, no need to take notes on that. 🙂 Logging what you learn as you hear it can help retention but it also becomes a source of content that you can use for blog posts, sharing with the team back in the office or with your clients. Content doesn’t need to be limited to text either. If you meet a smart industry expert, ask if they mind doing a short video interview. You’re in New York after all, take advantage of the city backdrop (sans the car horn and siren noise) to shoot a series of videos with people you respect in the industry. Those videos can be de-constructed into a variety of content types for digital asset optimization and other SEO tactics. Photos are also useful not only for company blog posts but for use as stock photos long after SESNY has ended. 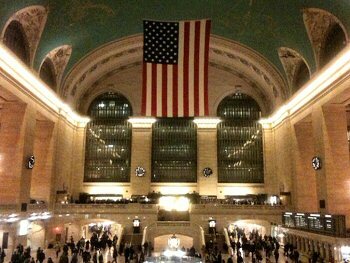 In fact, the photo of Grand Central Station above was taken while I was in New York for a SES conference last year. On day 3 of SES NY there is a track called “Clinics”, which could also be called, “Free Consulting for My Business”. There are clinics covering Paid Search, Ecommerce, Conversions and Big Sites/Big Brand Sites. These sessions are a great opportunity for companies to have their web sites or advertising reviewed by industry experts and get recommendations. Keep in mind, that advice is often direct and to the point – yet polite. Panelists have been solving web site and online advertising problems for years and they’ll be able to see issues immediately and share possible solutions just as quickly. The advice a company might get in one of the clinics can be worth several times the cost of attending the conference. At SES New York, the exhibit hall will have over 100 companies presenting their products and services. Cruising the booths and talking to reps (early in the conference, not late) is a great way to learn about companies that might have just the service you need to make your marketing more effective. Heck, if you’re really good, you might be able to reverse roles and pick up a few exhibitors as clients, depending on what it is that your company does. Finding consultants and services isn’t limited to the exhibit hall. You can find great resources by attending sessions where representatives from some of the top companies in the industry will be sharing their insights and expertise. Hearing an employee speak gives you some insight into their processes and how they approach working with clients. You can also find potential employees by networking with speakers, either directly or through referral. DAO is the name of the panel I’m presenting on, day 1 of the conference at 10:45 am right after the keynote from David Meerman Scott. Optimizing for the new Google takes a unique and creative approach to content strategy and SEO. Optimizing and promoting Digital Assets present a tremendous opportunity to grow business through organic search. My presentation will focus on successful DAO implementations for a small business, a publisher/ecommerce site and a very large company. Plus I’ll be offering a new TopRank Guide for download. You won’t want to miss this session! What are YOUR favorite reasons for attending SES New York? Whatever it is that you’re considering getting out of SES New York, be sure to get more information on the session agenda here. Always wanted to attend one of these. I've been to Internet Retailer last year and I just love the atmosphere. I can imagine how fun this convention would be, and how it can really improve my blog as well. My favorite reasons for speaking/attending conferences is being with the people in the industry such as yourself when we had dinner at Donovans in my hometown of San Diego last month. I always look forward to the “travel circus” of fellow speakers as we meet at another conference in a different city. Look forward to seeing you again at SES NY next week. I would have loved to have attended this conference, I follow a lot of the comments on twitter and it always sounds like a lot of information and networking is done. Unfortunately based in the UK, will wait for the London one. Just to add as well – only the real pro's go to these things. So I would make that an 11th reason! Thanks! It will be great to see you. dgty Writers and broadcasters from around the country have made picks for their teams, and after 24 selections, a QB many experts have going in the top 10 is still hanging around.